Mr. James Harvie “Jim” McGuire, 85, of Morehead passed away Monday, July 2, 2018 in the University of Kentucky Chandler Medical Center in Lexington. He was born in Morgan County, Kentucky on April 11, 1933, a son of the late William Henry McGuire and Elizabeth Mae Hampton McGuire. 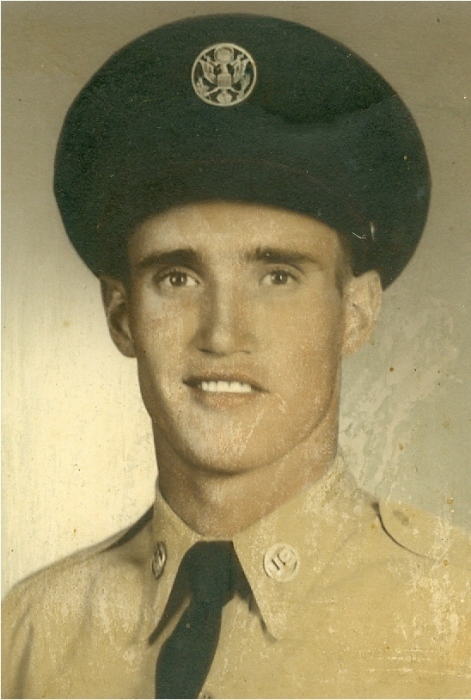 Mr. McGuire was a retired truck driver and a United States Air Force Veteran having served during the Korean Conflict. Jim was of the Baptist faith and loved taking care of goats and lambs. In addition to his parents, he was preceded in death by one brother, George McGuire and four sisters, Vona Hicks, Unie Wycuff, Donna Grisham and Shirley Rogers. Survivors include his wife, Helen McGuire, one son, Johnnie McGuire of Tennessee, two step-sons, Harry Conley and Larry Adams both of Gainesville, Georgia, two sisters, Della Molton of Morehead and Stella Myers of Zephyrhills, Florida, one grandson, several step-grandchildren and several nieces, nephews, other relatives and friends. Graveside services and burial will be conducted at 2:00 P.M. Tuesday, July 10, 2018 at the Kentucky Veterans Cemetery Northeast in Greenup County. Visitation at the Michael R. Gray Funeral Home in Morehead is from 11:00 A.M. to 1:00 P.M. on Tuesday.